We've intentionally omitted the hundreds of crime and mystery adventures of the era targeted to juveniles, the 'gentleman' or 'couples' detective dramas of the era, and the 'gumshoe' dramas of the era. The subject here is real--or fictional--crime dramatizations that purported to be either inspired by or drawn from actual crime files or crime headlines throughout the era. The post-World War II era, especially, found itself awash in 'adult' crime and western dramas, a trend that continued well into the mid-1950s. That trend also exploded over early Television as well. Indeed, several of the 'adult' crime and western dramas of the Golden Age Radio era made a successful jump to Television, several of them airing concurrently over Radio and Television. The concept of a radio series based on either prisoners or prospective parolees had been floating around for several years prior to the 1950 premiere of Up For Parole. At least two auditions for such a project were produced for potential sponsor or network interest. CBS ultimately produced Up for Parole in cooperation with the National Probation and Parole Association with an eye toward more widely publicizing both the justice and injustice--percieved or otherwise--of the era's attempts to either rehabilitate or encourage the rehabilitation of America's convicted criminals. A dramatization of the life events that resulted in the candidate's incarceration(s). The prisoner's ultimate trial(s) or conviction(s). A promotional break provided for the listening audience to formulate their own conclusions and decisions regarding the candidate's worthiness for parole. The actual 'decision' of the Parole Board and its rationale for either granting or denying parole. A brief epilogue describing the post-decision outcome of the Parole Board on the episode's subject. And indeed, not all of the parole candidates were ultimately granted parole during the series, which continued to make the series compelling for its audience. The crimes and sentences of the parole candidates ran the gamut of serious felonies from larceny to murder--and even cattle-rustling. The Parole Board Chairman, most often depicted by actor Wendell Holmes, took pains during several episodes to underscore--to both the parole candidate and the listening audience--that the decision of the Board had to be unanimous. That being the requirement there was even more of a burden, on both the words of the candidate and the episodes' accompanying dramatizations, to provide an even more compelling case for his or her parole decision by the Board--and of course that of the listening audience as well. Thus, the criteria for both the fictional Parole Board and the listening audience set a comparatively high bar for compassion, credibility and justice. All of the dramatized 'cases' were understandably morality tales--morality tales being very much the rage throughout the Cold War years of the new Atomic Age. In service of those ends, CBS writers Arnold Perl, Allan Sloane and Robert Cenedella provided a careful mix of pathos, detail and authenticity to Up for Parole's underlying dramatizations. Produced and broadcast out of CBS' New York flagship station WCBS, CBS also tapped its West Coast resources to assemble the series. CBS' successful young black director Mitchell Grayson produced and directed the series out of WCBS and John Dietz directed the West Coast contributions out of CBS-KNX in Hollywood. CBS staff writer and researcher Wally Gould assisted the writers in vetting the authencity and accuracy of the series' 'case files,' and CBS music director Harry Salter provided the series' musical underscore and interstitial musical elements. 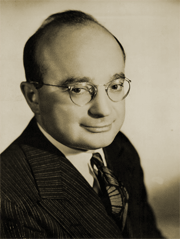 Harry Marble served as the series' narrator and announcer. 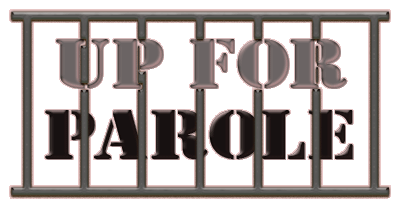 Though failing to find a sponsor for the series, CBS continued to capitalize on the comparative success of Up for Parole to promote many of the other programs in its lineup. Up for Parole was immediately followed by Broadway Is My Beat in most CBS markets and as most fans of Broadway Is My Beat can testify, Broadway Is My Beat also seized on its popular success--and network-sustained status--to aggressively promote CBS' more popular weekly programs of the era. The bottom line? We found Up for Parole to be a well-mounted crime drama novelty of the era. It followed up on the traditional denouement moments of most of the competing crime dramas of the period with dramatizations of the efforts of convicted criminals to gain parole from their prison sentences. Splendid radio fare, all told. 8 p.m.--Up for Parole (WBBM): new series; story of youth drawn into crime on threshold of medical career. 6:00--KNX--A new program, "Up for Parole," challenges the listeners to decide for themselves whether each case merits parole or not. The first one deals with a boy who has become involved in a rime just a few days before he is to be graduated from medical school. Up for Parole, KTSA, 8 p.m., case history of a man who commits a crime two days before he was to receive medical degree. Teases Case 33475 as next. Teases Case 33750-B as next. Announces The Case of The Reluctant Wheeler on Gangbusters, Saturday. Teases The Cleveland Peacock, Case 755-2 as next. 9:00 KNX In co-operation with the National Probation and Parole 'Association, "Gangbusters" re-enacts the "Case of the Square Question Mark," in which two hoodlums lead an unwary victim into a life of crime. Teases Case 13033-B as next. Announces The Case of the Shallow Trail on Gangbusters, Saturday. Teases Prison Case SQ201-37 as next. 7 p.m.--Up for Parole (WBBM): Case of cattle-rustler convicted of helping murder. Up For Parole, KTSA, 8 p.m., enacting an actual case history, tells the story of a belligerent 24-year-old youth convicted of cattle-rustling and as accessory in a murder. Announces The Case of the Vicious Triangle on Gangbusters, Saturday. Teases Prison Case 247-350 as next. Announces $56,000 in the jackpot of Sing It Again, Saturday. Announces The Case of Emma Gee on Gangbusters, Saturday. Teases Prison Case No. 234-768 as next. 7 p.m.--Up for Parole (WBBM): love-crazed robber pleads for second chance. "The Case of the Prairie, Pearl Diver" will be told night on "Gangbusters" over KCBS at 9 o'clock. Announces The Case of The Prairie Pearl-Diver on Gangbusters, Saturday. Teases Prison Case No. VR-095 as next.
. .. (8 p. m.) A true story from actual police files titled "The Case of the Prairie Pearl Diver." 9-9:30--Drama: "Up for Parole"--Criminal Case Histories--WOR. 6:30 p.m.--Up for Parole (WBBM): at new time. 7:30 p.m.--Up for Parole (WKOW): childhood dream leads girl into crime. 7:30 p.m.--Up for Parole (WKOW): young car thief tells his story. 7:30 p.m.--Up for Parole (WKOW): story of youth driven into crime by mother's thirst. Up For Parole, KTSA, 7:30 p.m.--The case of Jimmy King who at 25 is eligible for parole after serving five years of a sentence for second degree robbery is dramatized on this program. 7:30 p.m.--Up for Parole (WKOW): arrogant numbers-racket kingpin learns about law. Arrogant and cocksure about points of law, a 63-year-old numbers racket kingpin who, in his various endeavors, has been paid $100,000 a year for the past 25 years, comes up for a hearing before the parole board. 7:30 p.m.--Up for Parole (WKOW): story of romantic embezzler. Up for Parole, KTSA, 7:30 p.m.--The board hears the story of a suave, phony individual in "The Case of Travis Pons." WBBM 6:30 Up for Parole. Up for Parole, KTSA, 7:30 p.m.--Goaded into a fury by a dominating mother-in-law and by her profound influence on his wife, a man who tried to kill his wife in a fit of anger comes "Up for Parole." Up for Parole, KTSA, 7:30 p.m.--"The Case of Clinton Foster," who tried, at the age of 18, to solve family reverses with a clumsy, amateurish holdup of the bank in his small community, and who was arrested almost immediately, will be dramatized. Announces the return of The Choraliers and Symphonette, Sunday. Announces Up For Parole at a new time the following week. 8 p.m.--Up for Parole (WKOW): Wanda Stewart, arrested on a charge of grand larceny after rebelling against being too perfect is up for parole. The Case of Lawrence Trowbridge, Jr.
8 p.m.--Up for Parole (WKOW): tale of crippled man's unnecessary crime. Up for Parole, KTSA, 7:30 p.m.--Wendell Holmes plays the parole board chairman in a tense and bitter story of an unnecessary crime in the authentic crime story being presented in this series. "The Case of Lawrence Trowbridge, Jr.," tells of the bitter frustration of a well-to-do young man, a cripple since childbirth, and the son of selfish divorced parents. His violent efforts to prove himself and to be as powerful as his father end in tragedy for himself and his fiancee. "The Case of t he False Creek Killers' will be the title of Gangbusters, KCDS at 9 o'clock. Announces Lowell Thomas' 20th year on the air. Announces Prison Case No. V15-42 next. 8 p.m.--Up for Parole (WKOW): misdirected love turns to blind hate. Up for Parole, KTSA,8 p.m.--"The Case of Mark Bridges," whose misdirected love for a girl unworthy of him turned to blind hate after she had rejected and humiliated him once too often is dramatized in this real life story. 8 p.m.--Up for Parole (WKOW): gas station competition leads to dynamiting. Up for Parole, KTSA,8 p.m.--"The Case of Walter Kelso," who resorted to violence when he saw his 29-year-old gas station business failing because of unexpected competition is dramatized as he applies for parole. 8 p.m.--Up for Parole (WKOW): ex-convict becomes civic leader--and blackmail victim. Up for Parole, KTSA,8 p.m.--The Case of Henry W. Merrill, who killed a man to put a stop to a vicious blackmail scheme, is dramatized in this thrilling case report. 8 p.m.--Up for Parole (WKOW): story of poison-pen arsonist; WBBM 8:00 Five-Star Revue. Up for Parole, KTSA,8 p.m.--"The Case of Ritchie Whitfield," who, enraged because someone else was promoted to the job he considered rightfully his, wrote a series of poison pen letters to his employer and his rival and then set two fires at the plant. WBBM 8:00 Five-Star Revue; WKOW 8:00 Hear It Now.